Okay, I confess…we bought our tickets for the Toronto Pan Am Games back in December. We are just a little bit excited about the largest international sporting event ever to be held in Canada. Yes, these Pan Am and Parapan Am Games are larger than Vancouver’s Winter Olympics…crazy. With 41 countries coming to Toronto and 4 weeks of Pan Am and Para Pan Am Games, what is not to love? I have done a little research and put together a list of useful tips for taking the kids to Toronto Pan Am Games. Not sure if you are going to head down to the Games or not…read through this list and then get caught up in all the excitement. Get Your Tickets – If you want to take the kids to see Olympic quality sporting events then it is time to get your tickets. The easiest way to purchase tickets is online, but you can also find ticket at the venue box office…assuming the event is not sold out. Children under the 2 years old are free, but they don’t get a seat. Prices range from $20-$80…it all depends on the event and the facility. Youth, under 16 years of age, and seniors, over 65 years of age, can purchase reduced cost tickets…again pricing depends on the event. Not a Sports Fan? – Does the sound of spending the afternoon at a sporting event totally turn you and your family off? Never fear, the Pan Am Games aren’t only about sport – they are about international culture. There are so many fantastic opportunities to introduce your kids to the 41 visiting countries. 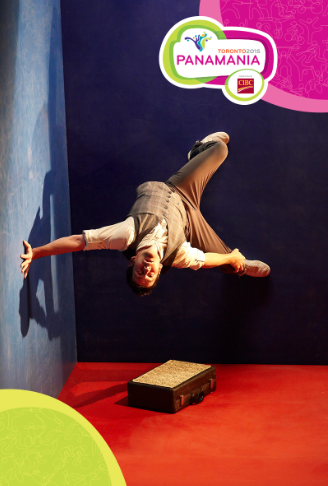 PANAMANIA is the arts and culture festival taking place during the Pan Am and ParaPan Am Games. Much of the programming is free of charge. There will be three main hubs for PANAMANIA: Nathan Phillips Square, The Distillery District and CIBC Pan Am Park at the Canadian Exhibition grounds. Take in all the music, dance, art, fashion and food from the Pan American countries. Check out the PANAMANIA website for all the details. Ride the Rocket – Most, not all, event venues are accessible by TTC – subway, streetcar or bus. Show your Pan Am Games ticket to the driver and ride on public transit for free, on the day of your event. If you are heading to a venue outside of the TTC limits, check out the local transit service providers. Still have to drive, then leave plenty of time to drive, park and walk/shuttle bus from the parking lot. Leave Plenty of Time – The easiest way to avoid the panicked “we are going to be late!” is to head to the venue early. Ticketed venues will have airport style metal detector security for spectators to move through. Volunteers and the security team will be moving people as quickly as possible, but know that this is going to take time and give yourself a little extra. Who is this Pachi? Pachi is the Pan Am and ParaPan Am Games colourful mascot. 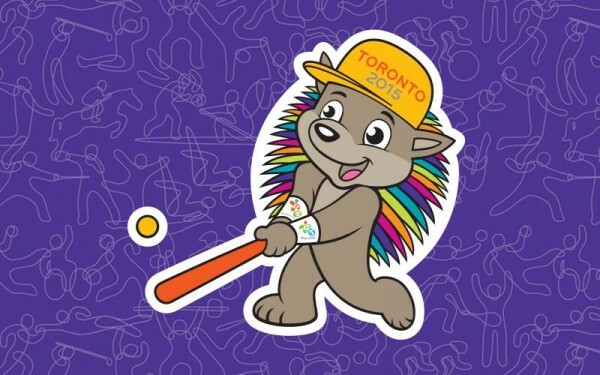 Pachi is a porcupine with 41 quills, that represent each country competing at the Games. His quills are 5 different colours that represent qualities that Pachi possesses; blue is for collaboration, orange is for determination, fuscia is for passion, purple is for creativity and green is for youth. Learn all about Pachi and about the true spirit of the Games at his website. 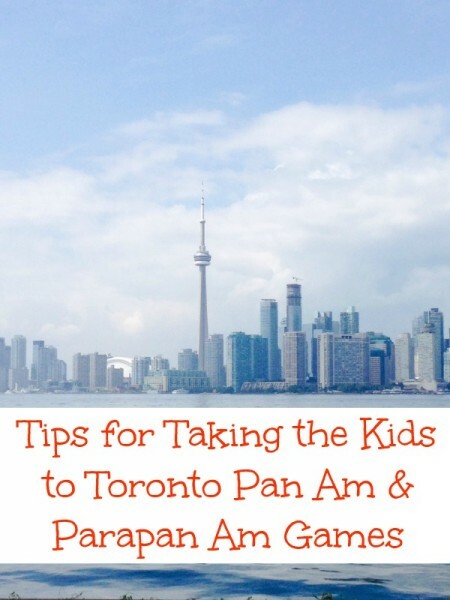 What Not to Bring – Like any event where a large group of people are gathering, there are going to be restrictions on what you can and cannot bring inside a Pan Am Games venues. Some of the items are obvious…firearms, flammable liquids, knives, projectiles, illicit narcotics and chains. Other items might not seems so obvious…professional/commercial grade camera equipment, outside food (except baby food, baby formula and single serving portions for those with dietary restrictions), frisbees, beach balls, sporting equipment, full face mask and oversize costumes (religious coverings accepted). For the complete list check out the Pan Am Conditions of Entry page…better safe than sorry. What’s the Weather – Be sure to check the weather on the day of your event and dress accordingly. An uncomfortable kid means an uncomfortable experience for the entire family…right?! Don’t forget the sunblock and rain gear. No matter which event you are attending there is bound to be a lot of walking, so wear appropriate footwear. Bring Your Spirit – International sporting events are all about bringing together people from around the world to play games with each other. Yes, there is the drive of competition, but as a spectator there is the joy of cheering on your country’s athletes. We are so fortunate, in Toronto, to have people living here from all over the world. Bring your love of your country and your culture to the stadium. 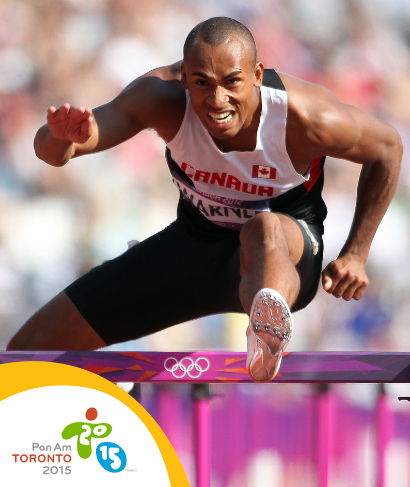 Well, are you ready for Pan Am and Parpan Am Games? What event will you be attending? Are you planning on attending a PANAMANIA event?